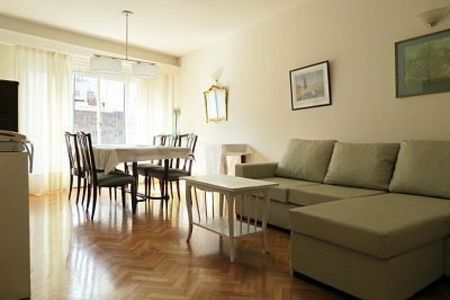 2-bedroom apartment in Palermo Hollywood. 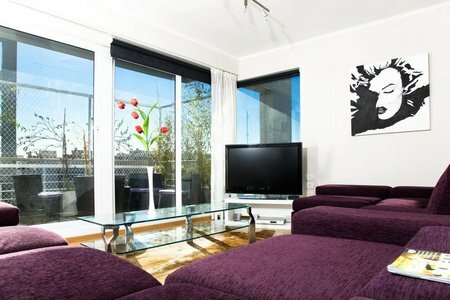 Very bright, fully-equipped and with a modern décor. The building is new (five years old) and is located close to all the pubs, clubs & restaurants but away from any noise. 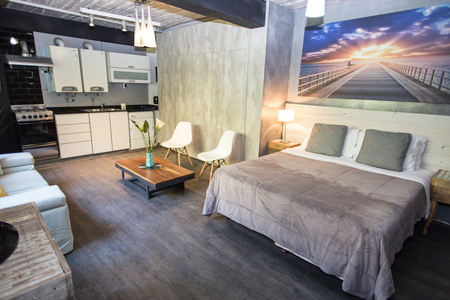 - 2 bedrooms with queen size beds, air conditioning, large closets, and fresh linen. 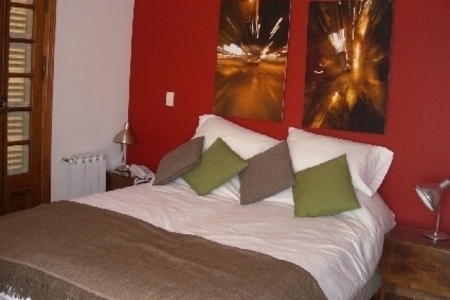 - The queen size beds can be split into two singles ones so that the apt can easily be adapted to suit 4 guests. - 1 full size bathroom and a guest bathroom (w/o shower). - The living room is equipped with air conditioning, a 40″ LCD TV, a dinner table that seats six and a sofa that doubles as a bed for two people. 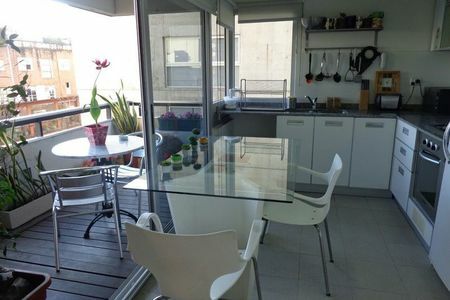 - The balcony is spacious, sunny and offers a great view of the neighborhood and city. 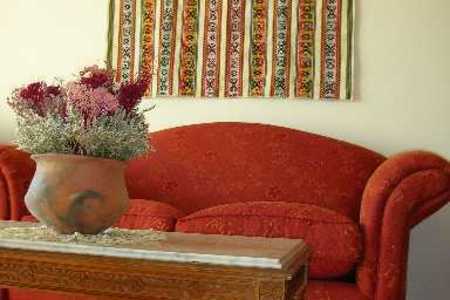 - Private foyer and central heating. 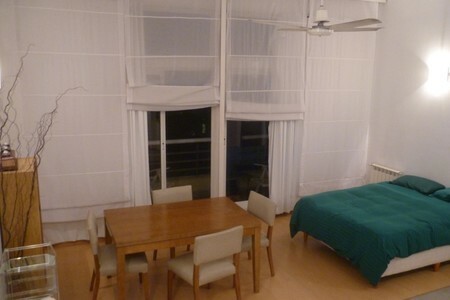 - The building has a swimming pool on the terrace that is available for use, as well as a laundry room. The apt. is located on Niceto Vega and Carranza, in the heart of Palermo Hollywood, one of Palermo’s most sought-after and popular areas. Named after the thriving TV and film studios that populate the area, Palermo Hollywood is filled with youthful energy. It is a unique neighborhood where stylish European architecture meets the innovative concepts of modern design, brushed over by a creative and vibrant Latin flare.